Mark Shenton’s week: Could Stephen Daldry be in the running for the Young Vic? After the announcement that David Lan is to step down from the artistic directorship of the Young Vic, I suggested six possible successors. 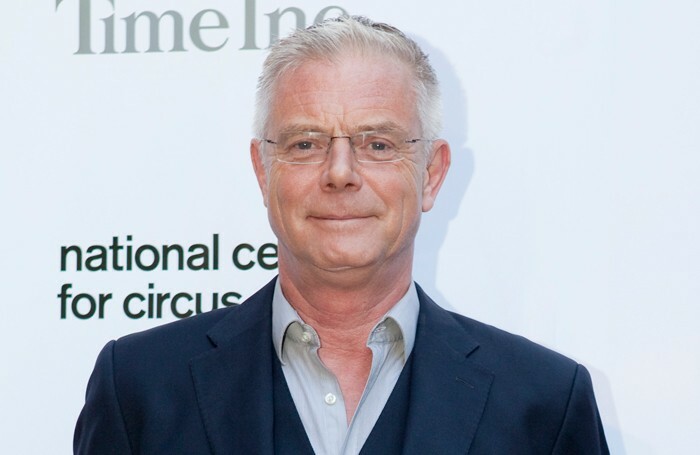 But the announcement of the season for the rest of 2017 and into 2018 raises the possibility of another name in the frame: Stephen Daldry. The former artistic director of the Royal Court was also in the frame to take over the National after Nicholas Hytner stepped down (it was reported that he and Lan had made a joint application to co-run it), so Lan handing the reins to him would now seem like a kind of succession planning. Daldry will co-direct The Jungle (with Justin Martin), a new play by Joe Murphy and Joe Robertson, the co-founders of Good Chance Theatre that established a theatre space at the heart of the Calais refugee and migrant camp, opening in December. He will then also direct The Inheritance in March. The weekend before last I saw Daldry direct the NT’s reading of Martin Sherman’s Bent as part of its Queer Theatre season; he also directed one of the NT’s most enduring successes, An Inspector Calls, and the glorious musical Billy Elliot. But Daldry, as well as being a brilliant director in his own right, also proved his mettle as a producer during his time at the Royal Court, where he spearheaded the new British playwriting revolution in the 1990s. I’d be thrilled if he returned to running a theatre now. Given that I’m out every night of the week as it is, not to mention attending quite a few matinees, I hardly need to add another venue to my must-go-to list. But last week I paid my first visit to Kilworth House Theatre in Leicestershire, and it’s instantly risen to the tops six of my summer calendar. The theatre, a custom-built open air canopied space in the grounds of a country hotel, is the musical theatre equivalent of Glyndebourne or Grange Park Opera: a privately funded passion project that has developed into an event of national profile. This year celebrating its 10th anniversary, it employs West End actors, directors, choreographers and other creatives in revivals of popular titles. I expected it to be the equivalent of something we don’t really have in the UK, namely summer stock theatre that takes place all over the US. It’s a genre of theatre where a resident company stages productions only in the summer, often reusing stock scenery and costumes and typically employing younger, newly qualified (ie cheaper) actors. In fact, what I saw at Kilworth was a fully professional, newly conceived and sumptuously designed production of Kiss Me Kate, directed by Matthew White and choreographed by Sam Spencer-Lane, designed by Paul Farnsworth and with a full-bodied orchestra under the expert baton of Michael England. And what a cast was fielded, too! Lilli Vanessi, who plays the female lead, was stunningly sung and acted by Caroline Sheen, one of our most precise and appealing musical theatre actors. Opposite her as Fred Graham was Matthew McKenna, a name new to me, but a real discovery – dashingly handsome, with a terrific voice and presence, while the supporting cast included the brilliant Cory English (Nathan Lane’s cover in the original London production of The Producers who eventually ascended to the role) and Carl Sanderson as a hilarious pair of gangsters, with a show-stopping version of Brush Up Your Shakespeare, Tarrin Callender (in his first job since leaving Arts Ed, and en route to appearing in Hamilton) performing a musically thrilling Too Darn Hot, and Davide Fienauri as a supremely athletic dancer and suitor to Monique Young’s delightful Bianca. Never mind that thanks to traffic on the M1 it took me some 3.5 hours to get there (and it’s only about 90 miles from London); or that it rained throughout the show. We were under cover and dry – so all the usual anxiety that attends a visit to, say, Regent’s Park Open Air Theatre wasn’t there. I loved it and can’t wait to go back now for Top Hat. In the early noughties, Phil Cameron was a prolific theatre producer, offering transfers for productions of Top Girls, Another Country and Mother Clapp’s Molly House to the West End, and then producing a hit revival of Journey’s End that ended up a Tony winner on Broadway. But then he gave it all up and entered the air travel business, first planning to set up a business airline, but then setting the airport lounge business No1 Lounges. Last week I made my first attempt to visit one through a new membership I’d just bought for Executive Pass, whose only available lounge at Gatwick South is the No1 lounge. Except that when I attempted to visit it, it was completely full; I was offered instead the opportunity to ‘upgrade’ to a club room there for a further £15. As a theatre professional commented when I posted about this on Twitter, “sounds like ATG”. Upselling is obviously not confined to the theatre business. No1 Lounges can obviously not control an excess of demand for its services; but the fact that a premium service was available for a further charge left a bad taste.